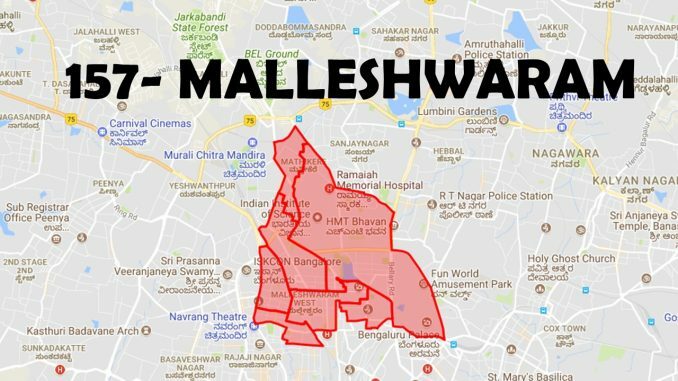 If you are one among the lakhs of voters of Malleshwaram, this is what you need to know! What did Malleshwaram MLA Ashwath Narayan do in his 2nd term? Situated in the north-western locality of the city, Malleshwaram’s name was derived from the Kaadu Malleshwara temple. The area began to be developed after the great plague of 1898. Malleshwaram Constituency comprises Rajamahal, Guttahalli, Kadu, Malleshwaram, Subramanya Nagar, Gayithri Nagar, Aramane Nagara and Mathikere wards. The constituency was once dubbed the ‘Tamil-Kannada-Konkani Brahmin’ stronghold. The sweeping, gentle boulevards, named after flowering trees, such as Mallige, Sampige and Margosa, have yielded way to a more cosmopolitan environment today with even a materialistic touch, due to the construction of malls, flats, stadia and gyms. However, with increasing growth and commercialisation, the constituency faces a number of problems, such as police harassment, a deteriorating infrastructure pressure, poor traffic management and parking issues. Malleswaram is called the “thinking man’s constituency and is reputed for its ‘literate’ voters, so politicians are wary about making tall and false promises here. Activists in this constituency have always been vociferous. As far back as in the 1990s, a theatre complex plan was stopped as residents feared that it would encroach Sankey Tank. Recent protests prevented the BBMP from cutting down trees to broaden Sankey Road. Currently, residents are opposing a commercial apartment complex plan that is being built in forest land nearby. On the other hand vendors, who have been evicted from a 100-year-old marketplace, are pressuring the same builders to speed up their work so that they can get back their space. The total number of votes cast in 2008: 1,03,218. The vote share in 2013: 1,08,304. The number of registered currently: 2,13,528. The workshop was aimed for people passionate about solid waste management to come under one roof. What’s up with the MLC elections? Citizen Matters brings you the latest on the upcoming election for the Bangalore graduate constituency. How to register? Who is contesting? When is the election? Who is running at the June 10th Bengaluru graduate constituency election for a seat in Karnataka’s legislative council? Here is a quick run down.